Young Timmy Failure neglects his schoolwork because his true occupation as a detective is far more important. He may not be very good at his job, as the Case of The Missing Halloween Candy suggests when he misses the significance of all the sweet wrappers in little brother’s room. But he is unflaggingly enthusiastic, and when his mother’s Segway (Why does his mother have a Segway, you ask? Don’t.) goes missing, he’s on the case. 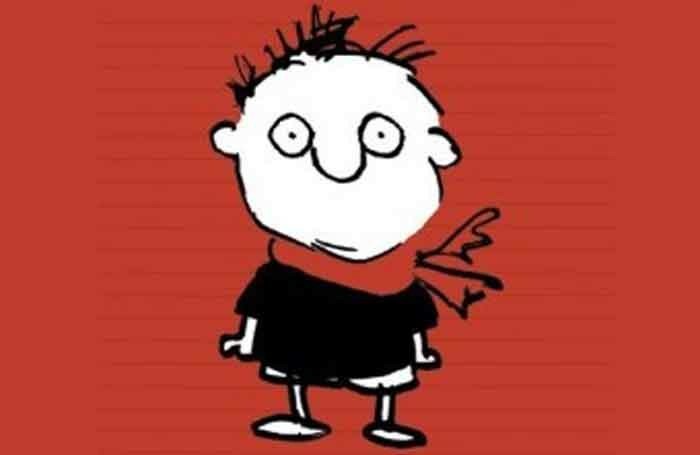 Leander Deeny acts out the tale adapted from Stephan Pastis’ picture book with infectious and unflagging high energy and a sense of the silly that children respond to. Clever cartoon projections and captions, along with deliberately low-tech music effects, help set and sustain the tone as Deeny plays not just Timmy but a half-dozen other characters and a polar bear (Again, don’t ask). Audience participation ranges from helping him with his uncooperative props and costumes to putting someone’s dad in a silly wig, and there’s even a moral of sorts, about getting your homework done first. Kids love both the broad slapstick and the clever wordplay, while adults can appreciate the inventiveness and skill of both author and performer as they enjoy watching their children enjoying the show.